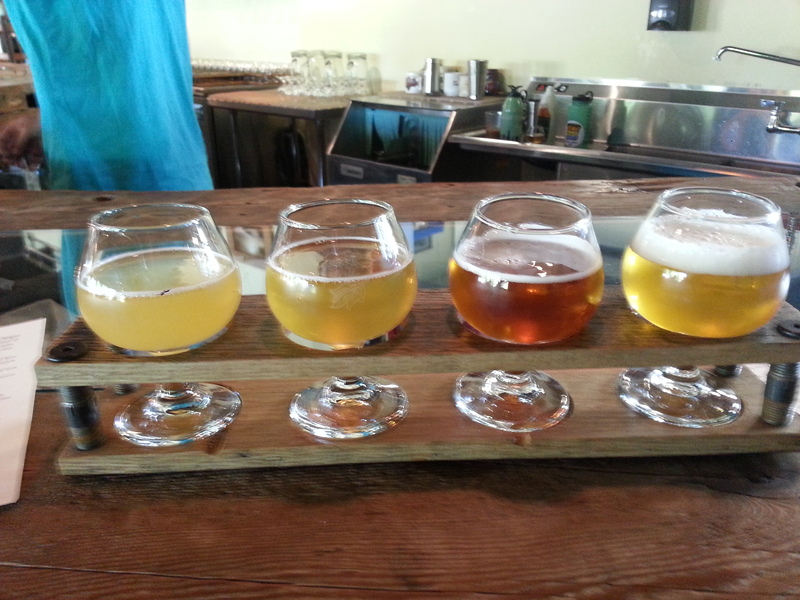 HoppyBoston goes to Portland Part 1: Allagash and Austin St. This weekend my lovely wife and I took a very quick trip up to Portland. We were meeting my parents for lunch and decided to book a hotel room and make it into an overnight. Perfect weather plus it was the Old Port festival, so the city was buzzing. I grew up and went to college in Maine and I love Portland. There is enough to do so that it feels like a major city without some of the headaches you get in a larger urban setting. Portland has changed a lot in the last decade, becoming a hub of great food and amazing beer. As part of our weekend I wanted to hit a number of breweries and beer bars. I didn’t get to do everything, but I am hoping to make another trip in the near future and hit some of the spots I missed. My next three posts will be about the trip, two covering breweries, and the last reviewing some of the bars my wife and I tried after dinner. The top of my to-do list for this trip was Industrial Way in Portland. It’s a little out of the way, but it houses 4 breweries, Allagash, Austin St., Foundation and Bissell Brothers. Allagash has a large space on one side of the street, and across the way there is a large industrial building that houses the other three breweries along with some other businesses. 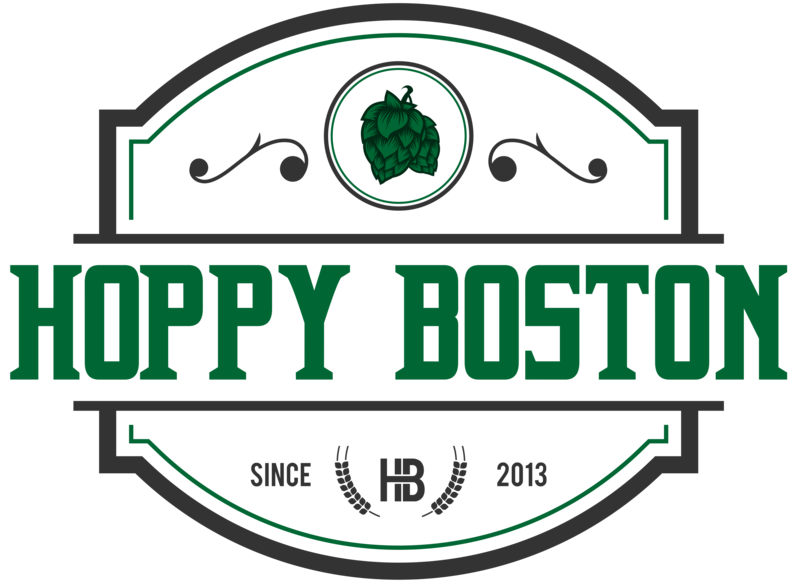 This start up space has been an amazing incubator for Maine craft beer. Maine Beer Co. and Rising Tide both started on Industrial Way before outgrowing the space and moving. All of the small brewers raved about having Allagash as a neighbor, saying the experienced crew over their is always available for questions and to help with equipment issues. This setup is like nothing I’ve seen, and has become a can’t-miss destination for craft beer lovers who visit Portland. Our first stop was Allagash, one of the most respected brewers of Belgian style ales in the US. Their tasting room is huge, with a large and stylish bar made of distressed beams, tables and an outdoor patio. Tours sell out ahead of time, especially on the weekend, so call well in advance if you want to tour the brewery. Regardless of if you tour or not, all visitors (21+ of course), receive a complementary flight of 4 Allagash beers. They don’t sell pints or additional tastes (you can buy bottled beer to consume off-premises), but the only beer you can drink at the brewery is your tasting flight. While we were there they were pouring their flagship Allagash White and their delicious new Saison. They also had Allagash Victor, a Belgian strong ale brewed with Cabernet Franc grapes. Victor was delicious, well balanced and dangerously drinkable at 9.0% ABV. They also had Prince Tuesday, a Belgian pale ale brewed in collaboration with Maine Beer Co. and Rising Tide. Prince Tuesday is hoppy, complex and refreshing, I grabbed a bottle on my way out so expect a full review in the coming weeks. Normally they just have 4 beers available, but they were also giving small samples of a special beer brewed for an event that weekend, a batch of their saison brewed with oranges. It was very interesting, I think I prefer the regular Saison, but it was cool to try a one-off brewery only recipe. 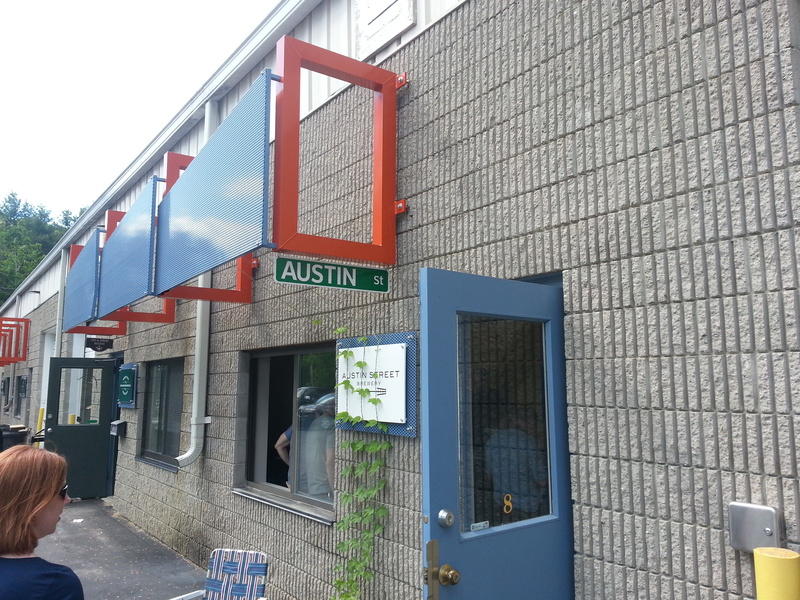 One of the small breweries across the street from Allagash is Austin St. Brewery. Austin St. was started by long-time homebrewer Jake and is named after his home street in nearby Westbrook. They brew on a 1 bbl (31 gallon) system, making very small batches of their American ales. On our visit, Austin St had two beers available for tasting and growler fills. The first was their flagship Patina Pale Ale, a light, balanced and drinkable American pale ale. The other was Kon Tiki, also an APA with huge, fresh hop flavors. Kon Tiki was delicious, I would have grabbed a growler but they were having issues with the keg and couldn’t do growler fills. You can find Austin St. beers at the brewery and on draft in select locations in Southern Maine. Tomorrow: I’ll post about the other two breweries on Industrial Way; Foundation Brewing and Bissell Brothers. Previous PostMy wife drinks beer. Next PostHoppyBoston goes to Portland Part 2: Foundation Brewing and Bissell Bros.